Would you like to book a Peacock Picnic for your next fundraising event, outdoor performance, birthday, anniversary or other special event? 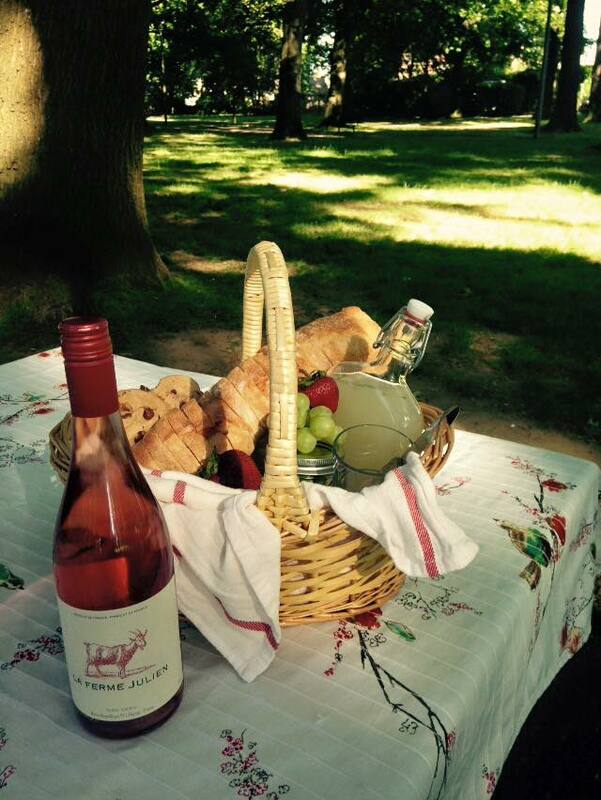 A Picnic includes all baskets, serving ware, drinks and service with a vintage flair. Special menu requests can be accommodated upon request. An elegant fundraiser for your next neighborhood community event! Contact Morgan Mead at 503-413-9403 or morganmead@gmail.com to get arrange the details. Inspired by Julia Child’s affinity for “fussy, fancy comfort food,” Peacock Picnics slings luxurious portions of French peasant fare with a Portland twist. Peacock Picnics owner Morgan Mead has over 20 years of food and beverage experience, including positions at Shula’s Steakhouse, Brasserie Montmartre, Roy’s Hawaiian, 3 Degrees, Lake Oswego Grill and Morton’s Steakhouse. Morgan’s family owned one of the first farm-to-table restaurants in Olympia, Wa. Over the years he’s worked at fine dining restaurants in Washington, Oregon and even Maui, offering me an insider’s perspective on the NW’s evolving food & wine scene.